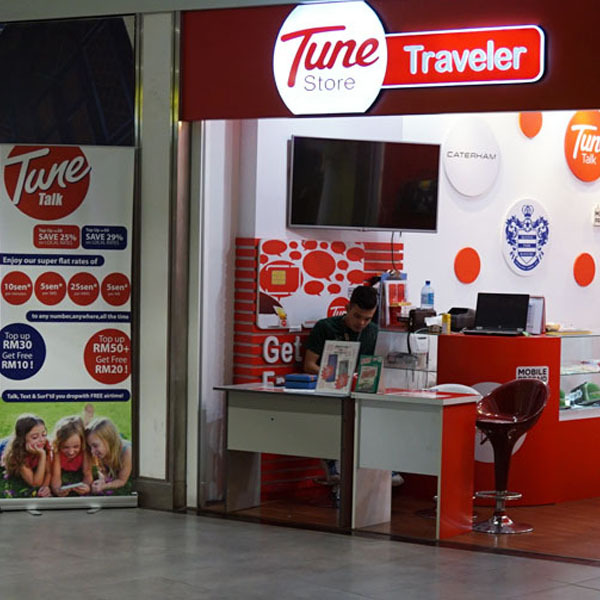 On 19 Aug 2009, Tune Talk Sdn Bhd (720957-V) was officially launched and is the fastest growing Mobile Virtual Network Operator (MVNO) in Malaysia. We aim to provide the nation with super low call rates and incredible incentives that is currently underserved. Our no-frills prepaid service for voice and SMS packages are ready to fulfil the value-for-money segment with great accessibility and broad distribution each. Tune Talk is a licensed Network Service Provider (Individual) and Application Service Provider (Class) numbering block sanctioned by the Malaysian Communications and Multimedia Commission (MCMC).